When you get ready to head off to college, there are hundreds of details to take care of. Finding the right dorm room, buying your books, enrolling in classes, and making sure you have plenty of meal points. Don't forget to take care of your car insurance needs as you go through your checklists. During high school, your parents may have handled all of the insurance arrangements, but being a college student means learning how to handle these things on your own. Stick with a car that is less expensive to insure. Reliable older cars might not be trendy, but they are much less expensive to maintain than a sporty new model. 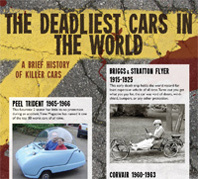 Larger cars are safer, which makes them less expensive to insure. Find a serviceable used car that will get you around campus reliably. Avoid smaller cars that have larger engines with extra power. There will be plenty of time after graduation to find, and be able to afford, the car of your dreams. Most insurance companies offer nice discounts for students who maintain a 3.0 or higher grade point average. Manage your classes well and you could be helping to keep insurance costs down while you are on your way to completing your degree. The average academic discount goes to students up to the age of 25 enrolled full time. Research different car insurance companies to compare the academic discounts they offer. Some companies might offer even better discounts if you have a grade point average that is 3.5 or higher. One of the things you learn quickly when you move away from home is that your credit rating can control many of your financial options. Keep your credit rating high by paying your bills on time and avoiding debt. Insurance companies use your credit rating to determine how much they will charge you for your car insurance. If your credit rating is solid, your rates are typically lower. A good way to establish your credit without getting in over your head is to get a single credit card to use for purchases you can afford. Pay off the entire balance every month. The deductibles on your car insurance policy are something of a gamble. Carrying lower deductibles will cause your premiums to be higher, but you will have to pay out less if you need to file a claim. Higher deductibles keep your premiums lower, but you will have to pay more out of pocket when you file a claim. It makes good financial sense to carry higher deductibles if you are a safe driver who doesn't expect to be involved in any accidents during your coverage period. Pick the highest deductible you could afford to pay off if you were ever in an accident. In many cases, it can be less expensive to remain insured by your parents while you are at college. Even if you attend an out-of-state college, your parents can still insure your car as long as they are the legal owners of the vehicle. If you buy your own car, you will have to purchase an individual policy. Policies are much more expensive for drivers under the age of 25, so you might want to think about the possible premium increases before you choose to buy and insure a vehicle on your own. You can save money on your car insurance by paying the premiums off once a year instead of on a monthly basis. Many insurance companies charge a small amount of interest each month when you spread your payments out over the entire year. Making one lump sum payment will reduce the overall costs of the policy. One single payment can also ensure that you have coverage through the entire year. You will never have to worry about late payments or misplacing a bill if you go ahead and pay the policy off all at once every 12 months. Be careful to always pay your insurance premiums on time. Some states require an insurance company to consider your policy lapsed if it is only a couple of weeks late. Lapses in car insurance coverage can be incredibly expensive in the long run. Insurance companies can charge up to twice the premiums for customers who have had lapses in their coverage. You can avoid this expensive mistake by always making your payments on time and paying attention to when your policy is due for a renewal. Keeping your car insurance current will save you a great deal of trouble and expense. 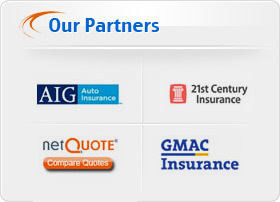 Every car insurance company has different criteria when they create a premium for a specific driver. You may be surprised at the wide variety of rates you could be offered by different companies, based on the same information. The basic factors each company looks at are usually the same, but each company weighs those factors differently. One company might be more expensive for you because they consider your age more important, while another company might offer you a different quote because they consider your credit score more important. With online quotes available, it is easier than ever to look up several prices using a simple form. Most large college campuses are designed for foot traffic more than automobile traffic. If you don't need your car to get around campus, you might want to leave it parked at home while you are away at school. Leaving your car in storage can cut your insurance costs by at least half since you will not be driving for most of the year. Look for insurance companies that offer low mileage discounts and special college student discounts with much lower rates for students who only drive on holidays and during the summer.